Have you just been handed the intimidating task of writing an essay? Are you feeling lost and confused with no idea of where to start? No need to panic. We've assembled some easy to use essay outline templates that will guide you on your way as you learn how to write an essay. To avoid the initial confusion of not knowing where to start or where to go, it's recommended that you first draft a simple outline. An outline is like a map that you can keep glancing back to as you write your paper. Think of it as the blueprints that an architect uses when designing a building. Why should you write an outline? You see, planning ahead of time, before you start writing, is like guaranteeing you have a path to follow. It gives writers a certain control over your future. Just like with any daily activity like going to the supermarket or visiting your mum, students need to know exactly when and where they will be going. The same applies to an essay - every section has its own place that needs to be written at a certain point in time. The exact same applies to academic writing. Without outline template for essay, you will most likely forget key elements or misplace valuable information. Another benefit of writing an outline is that you set your own timetable. You know what and when you will be writing, as well as how long you have until you are finished. In an academic setting where timing is everything and you have projects happening at the same time, you need to do your best to not fall behind. An essay outline helps you structure your paper. Since it doesn't require an overwhelming amount of information, you can keep it light and make changes when you need to. Any essay outline template should be split into three main parts: an introduction, the body, and the conclusion. Under each section you should apply bullet points that contain the main parts of each section. If you are writing your outline on paper rather than on a computer you can opt-in to use different colors to mark down any ideas or questions. This way you will not lose your path and then run out of things to research and write. Read below for more details. How to begin writing your essay outline? Many people think that writing is the hardest part. That is not correct. Planning ahead of time, making sure you have ample opportunities to work (meaning of schedule) is the hardest part. Since distractions are everywhere, it is easy to get side-tracked and forget about the due date. Not everybody has time management skills but time management is something that can be learnt with practice. If you have ever written an outline for school or work, then you know the basics. We will however assume that you are a beginner. The following section has outline templates for essay and can teach you how to structure and write your paper. Also we will do our best to provide tips and tricks on how to save time and not get lost along the way. 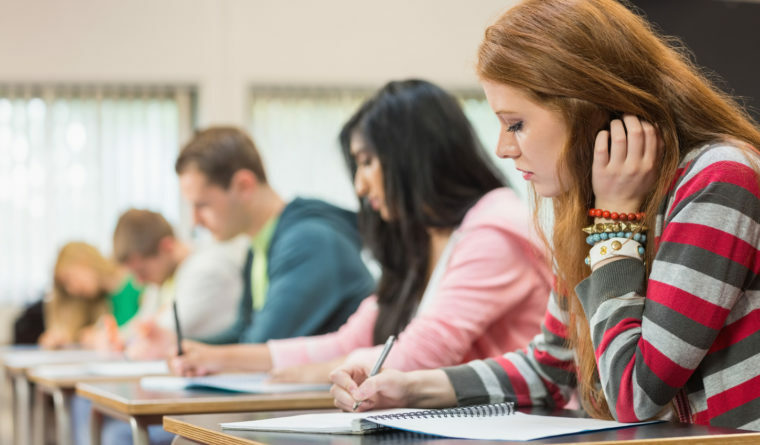 An analytical essay is just what it sounds: An in-depth analysis of a given topic. Most times students are asked to analyse a book or a poem such as Edgar Allan Poe's Raven or the Scarlet Letter. An analytical essay should not be confused with a summary. Many people make that mistake and instead of analyzing the elements of the topic, write a basic summary of the events that happened. An analysis is so much more than that. For instance, if you are writing about Shakespeare’s play Hamlet, then you will tackle issues such as the political climate, the sense of Duty, the bonds of friendship, and psychological instability in one or more characters. A summary, on the other hand, will simply be retelling the storyline in your own words. Do you see how one is different in the other? An analysis requires you to think and search for external information such as academic research and scholarly journals. If you are analyzing a song, for example, you will be taking a close look at why its writer chose to use a particular word or sentence. You're going to be analysing the feelings that song brings in you and how those feelings are connected to the overall theme. Example: Mozart symphony number 5 reminisces of a haunting in the way that the melody takes hold of not on your mind but your soul. The composer chooses notes that work on a particular frequency that have a chemical reaction with the listener. The goal of an analytical essay is to use facts and research to prove your point to an audience. You aren't persuading them but using arguments to show something that they didn't know. As long as your evidence is sound your paper will turn out perfect. A critical essay takes a topic and compares its pros and cons. Your goal as the writer is to gather evidence and point out to your audience whether something has a benefit. Unlike an analytical essay, where you are diving deep into the meaning of a certain work, critical essay works more on the surface and with mechanics. You are going to be using what you know about literature, music, or art and taking a close look at whether the creator did a good job. For example: The paintings of Van Gogh are a classic. He was an artist who, based on recent research, had a mental problem called schizophrenia. He could see and hear things that other people could not. You see this instability reflected in his works. Was he a great artist? Based on the popular opinion of artists he was; his painting style was something unique for the time. To this day there is nobody who can paint exactly as he did. It is vital for an argumentative essay not to state your own beliefs. You will be analysing both sides of an argument. After you have portrayed both sides you will start building a defence for the one you choose. For example: Both McDonald's and Burger King serve excellent fast food. The menus are nearly identical but they do differ in some key elements. While McDonald's serves french fries dipped in sugar, Burger King has old fashioned regular potato fries. Burger King French Fries have the taste barbeque which is the American way. This type of essay takes two topics and compares the similarities and the differences. Here, it is important to know exactly what you are talking about. You will do some research on both subjects and learn them well. For example: While the first two Harry Potter books are meant for children, the second one contains much more adult material. Both were written by the same author and target a demographic of 8 to 12-year-olds. However, the second book contains complex metaphors and gory imagery. An expository essay shows your knowledge of a given topic. It is very similar to a book report because you need to know something about the creator, how it was created, and what purpose it serves. For example: aloe vera facial cream was created specifically for treating scarred skin. The aloe vera plant has been harvested for its ability to heal skin. The idea for the cream was invented by George Steven in 1875. Since then, people come up with different ideas on using Aloe Vera, such as stomach medicine and eye drops. A reflective essay is just what it means: you are recalling a particular situation or an object and writing your feelings and thoughts. For example: My favorite childhood toy was a basketball. My father gave me that basketball when I was 7. He had dreams of me becoming a famous player. I remember being incredibly fond of that ball. My dad would bring me to the park every day after school and we would play ball until it got dark. The sort of essay requires you to know how certain things function. You're going to take something and explain how the process unravels. Example: Vaccines are a necessity for our health. A vaccine injects dead virus cells into your body. It is like a training regime for your white cells. The vaccine teaches them how to recognise a disease and fight against it. Vaccines do not cause disease. This type of essay is very similar to cause and effect paper, but has one critical difference: a process essay resembles an instruction manual. You explain how things function on a very basic level. For example: Video games take player input and describe it on a screen. Every video game has code that works underneath the surface. When you press one button, the code tells the game assets what to display on the screen. This creates an illusion of moving pictures. Research essays the most challenging essays of all. They require a lot of patience and reading. A typical research essay takes months to research and write so it is very important to learn how to manage your time. Of course, high school research essays will not be that challenging, and could technically be finished in a week or two. Still, the sooner you start, the better. For example: The Peter Pan book was written from an abandoned child's viewpoint. The main character has suffered a traumatic past, most likely due to abandonment from his parents. The topic of research has been that he seeks out other parental figures in the lost children he acquires. Once you've grasped the basics of writing a particular essay, nothing is stopping you from developing your talents even further. Work slow and meticulously and don't rush through things. The faster you write, the more likely you are to make mistakes.